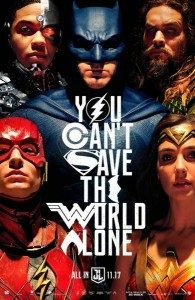 Justice League is a failure. 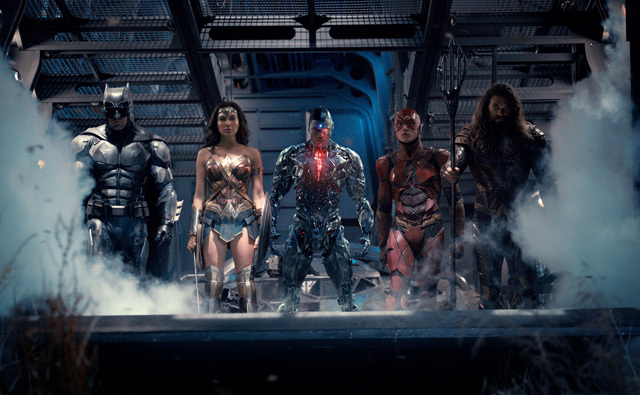 Even D.C. and Warner Brothers, the companies that released the movie, admit as much and are rethinking their entire movie universe as a result. It’s sad, because for many people, you could see this one coming. You could see the writing on the walls, long before the movie was released. This film brought in far less money than either Batman Vs Superman or Suicide Squad from last year. Now, think about that for a moment. Suicide Squad, a movie filled with heroes who nobody ever heard of, made a lot more money than this one. And Justice League was supposed to be D.C.s answer to the Avengers. But there are some pretty obvious reasons why it failed. So, it is my opinion that the number one reason Justice League failed was its release date. It’s not superhero fatigue in the sense that we are getting too many superhero movies, this was a case of releasing the film two weeks after a movie that was bound to have a huge following. The audience can’t be going to see another superhero movie every two weeks. It’s just not possible. Between time, money, and having to convince your significant other to go with you, there needs to be some kind of gap in time. The second reason why this movie failed is the lack of Superman. He’s in the movie. Everyone knows he’s in the movie. But because the marketing team wanted to go with this angle of pretending that Superman is dead, they didn’t put him on the posters, in the trailers, or in any other promotional material. If they wanted to make this movie work, they should have been promoting Wonder Woman first (based on how well her movie did,) then Superman, then Batman, and then The Flash. The other guys, (Aquaman and Cyborg,) should have been relegated to background characters. But get the big guns up there, front and center. Instead, the only way you knew Superman was in the movie was if you followed the rumors and behind the scenes material, and that took away a huge potential audience. Superman, after all, is the most well-known character in the bunch. The next reason why this movie failed was the CGI villain. I haven’t actually seen the movie yet, (and that’s part of the problem… I don’t really want to. I love superhero movies, but with this one, I’m just not interested,) but can tell that this villain is awful. Any and every decent superhero movie knows that you need an actor playing the villain to make it work. No matter who the villain is in a Marvel movie, from Ronan the Accuser in Guardians of the Galaxy to Hela the Goddess of Death in Thor Ragnorak, there is always an actor playing the role. And DC seemed to know that too. It has Michael Shannon in Man of Steel and Jared Leto’s Joker in Suicide Squad. But maybe it was the backlash against Jessie Eisenberg’s Lex Luthor in Batman Vs Superman that led to this decision. So one bad performance leads to just abandoning the idea of having any human flesh and blood actor in the villain role? What a mess. Next comes the Zack Snyder issue. This movie had two directors. Zack Snyder was the first one. Then his daughter died and he left the project to be with his family. Joss Whedon took over. But having two directors is never a good thing. The truth is, if this had been a Joss Whedon film, it might have been a lot better. Depending on how hard the studio interfered, (and knowing DC, that probably would have been a lot,) we would most likely be looking at something similar to The Avengers: Age of Ultron, (which Whedon also directed.) But, instead, the studio rushed out of the gates to hire Zack Snyder. Now, what they actually did was hire him for two films… Batman Vs Superman and also Justice League, both at the same time. 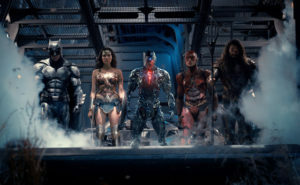 There was no downtime in between movies, so that once B V S was released, it was only about a month later that Justice League started filming. This meant that there was no time to respond to the backlash against B V S and make changes. If there was, the first change that should have been made would be to get rid of this director. Snyder is an artist, and a dark one at that, but he is not a very good storyteller. His 300 still stands as his best movie, and that was a beautiful painting come to life more than anything else. Snyder’s Watchmen was good, but like everything else he touches his hand to, it was way too dark. We need some playfulness in a comic book movie. Look at what Marvel does with every single film they turn out. Even Thor: The Dark World, (the darkest of all the Marvel films,) still feels more light-hearted than most of Snyder’s movies. So the director should have been someone new, and if DC wasn’t so greedy, they would have taken the time to figure that out, instead of fast tracking to get this movie made. Greed is really the single thing that this all comes down to. Marvel took their time to develop characters, stories, and individual trilogies, before coming anywhere near a team up. DC, on the other hand, saw the team up movie that Marvel made and said, “we want that. We’ve got big name superheroes too.” And they were right. But the problem was, they wanted it right then and there. They didn’t want to put in the effort or the work. So they made one movie before a team up film. Man of Steel. That’s it. The one and only standalone film. And next up was Batman Vs. Superman. Talk about rushing. How about giving us a stand alone Batman film with Ben Affleck? DC moved so fast on its team up projects, that now even Affleck is no longer interested. So they missed their chance. Is there hope for DC going forward? Of course there is. Make stand alone superhero movies. They’ve got Aquaman coming out next year. Good. That should be an answer to Marvel’s Thor, (about an other worldly creature and land.) Then they’ve got the Flash movie, called Flashpoint. And Matt Reeves (the guy who directed the Planet of the Apes reboots) is making a Batman standalone film. Why oh why did they not do all this before making a Justice League or a Batman Vs Superman? At least now, just maybe, they will be getting it right. Let’s just hope they do a better job of choosing their release dates.